Go Jump in the Lake – August 31, 2019 | NC Race Timing and Running Events | Go Time! A LABOR DAY WEEKEND TRADITION! 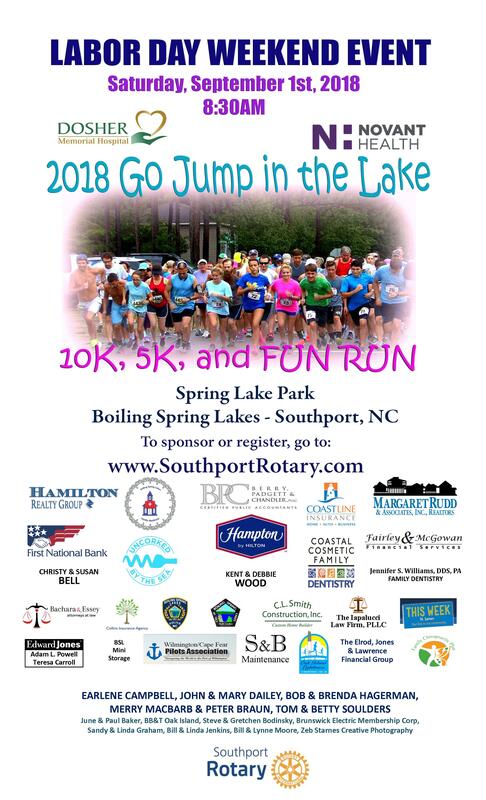 Organized by the Southport Rotary Club, this family friendly event promotes health and wellness in our community. Once again, the majority of the proceeds from this year’s event will benefit New Hope Clinic’s charitable healthcare programs, as well as for other Rotary funded organizations. Chartered in 1986, the Southport Rotary Club is comprised of neighbors, friends, and community leaders in Southeastern Brunwick County. Our members share the common goal of creating positive, lasting change in our communities and around the world. The main charity being supported is the New Hope Clinic. This volunteer driven non-profit organization provides quality medical, dental, and pharmacy services and health education to low income, uninsured Brunswick County adults in a caring, patient-centered. Other organization’s supported by Southport Rotary Club include: The Jack Helbig Memorial Foundation, Providence Home, Brunswick Family Assistance Agency, Hope Harbor Home, Brunswick County STEM, Southport Elementary School, Girl Scouts NC Coastal Pines, Coins for Alzheimer’s Research, Boys and Girls Home of NC, Matthew’s Ministry, Computers 4 Kids, Southport-Oak Island Interchurch Fellowship Food Pantry & more! Race Shirts will be guaranteed to participants who register by 11:59 PM on Saturday, August 10th, 2019. The shirts are available in Youth S-M and Adult Unisex S-XXL sizes, and are made of a Dri-Fit / Sport Tek material. 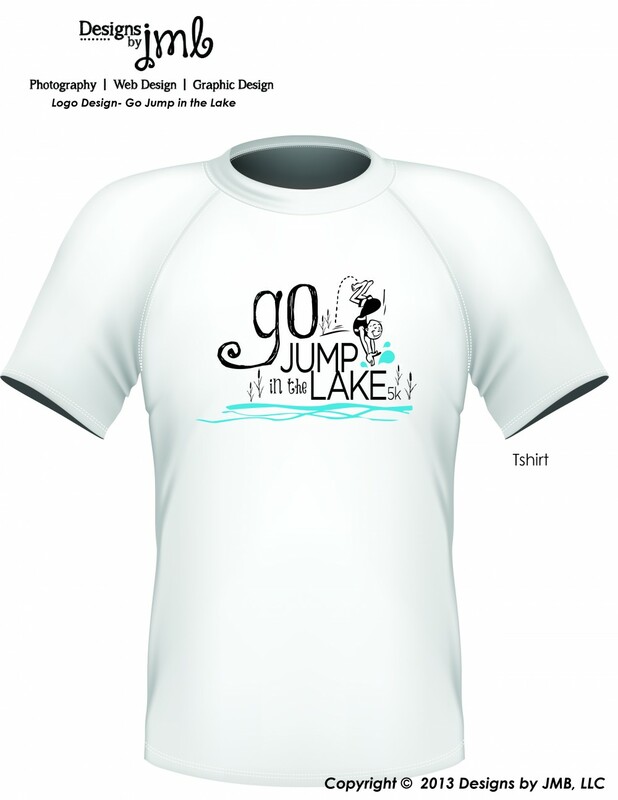 The Go Jump in the Lake run is exactly how it sounds: a race with the finish line at the banks of Spring Lake, where jumping in is highly encouraged! And yes, this lake really survived Hurricane Florence! This is a flat course that mainly consists of paved asphalt, meandering through scenic Boiling Spring Lakes. This race course is also stroller and wheelchair friendly! Parking is available across the street from Spring Lake Park, with overflow parking available beyond the park on Pine Rd. Paved parking via Shuttle Bus is available at the Boiling Spring Lakes City Hall / Baptist Church (9 E Boiling Spring Rd).